I had lost some then found a new slot. I had it up to over $600, but no, I played it back. No more trips for me until m&g. Yup, you are singing my song !! I guess this is what makes me different from many other slot players. 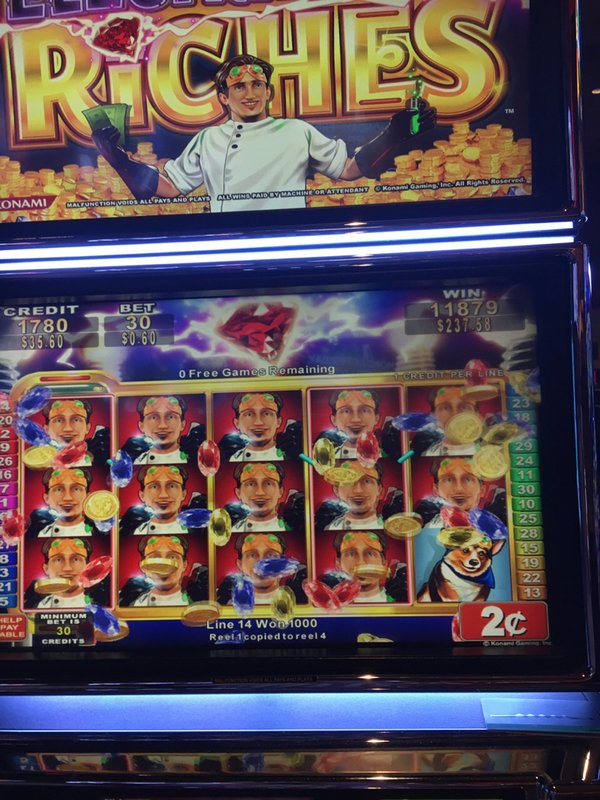 Once I hit big, or even moderate, on a slot, I would immediately leave for another. Yes, I do believe you are in the minority here.. It's been my experience that when I've gotten a good hit, the machine will often produce another soon after and I tend to stay on it for a longer time..giving it all back though is really painful and I've done that more times than I care to admit. The one thing I have been able to stop though is progressive chasing. Thats a problem I have as well because I like to keep playing. Even if I switch machines I will often play it back. I have a lock box and it works - I just need to use it more consistently.